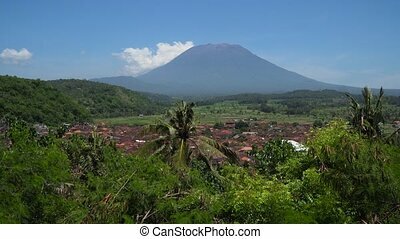 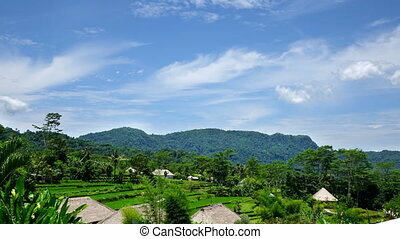 Farmlands and village bali, indonesia. 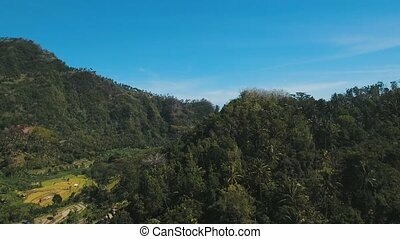 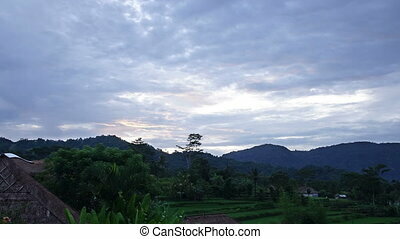 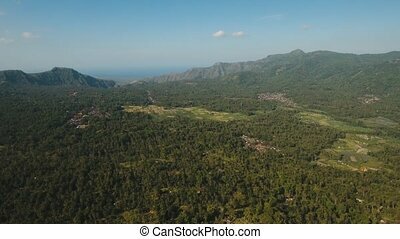 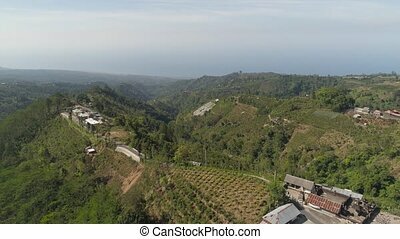 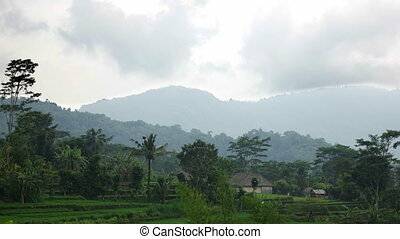 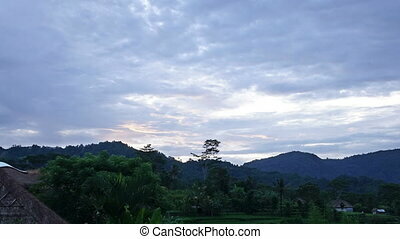 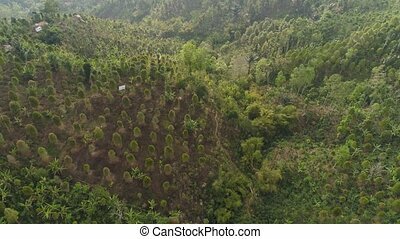 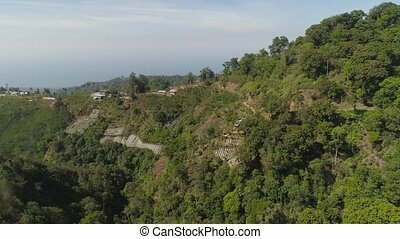 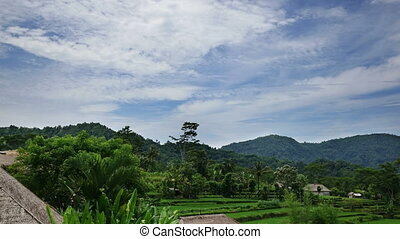 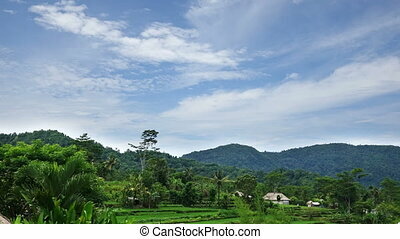 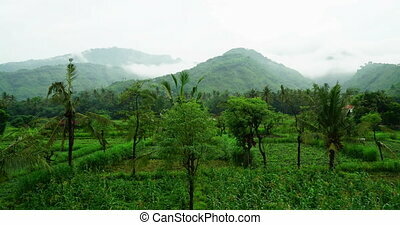 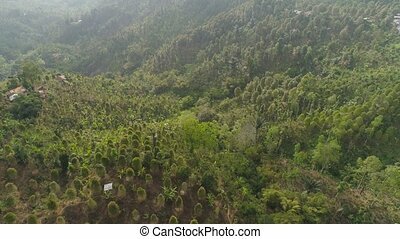 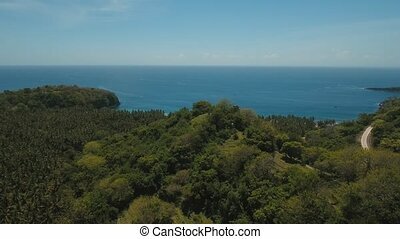 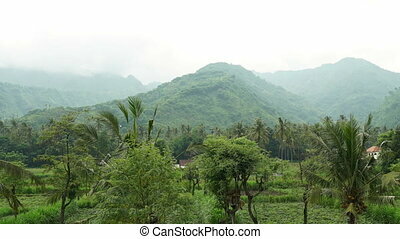 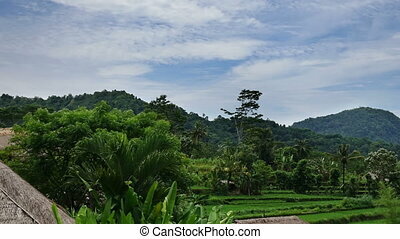 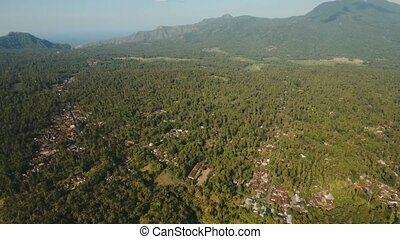 Agricultural land, farmlands in rainforest, fields with crops, trees. 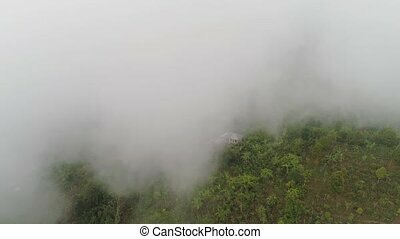 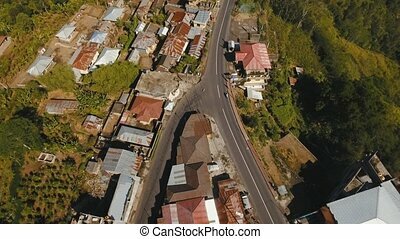 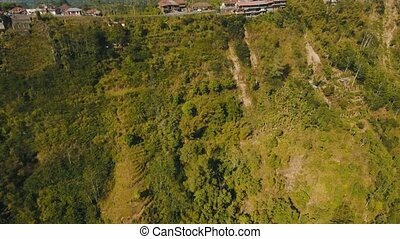 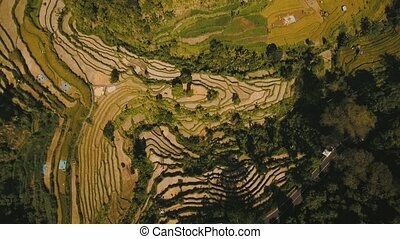 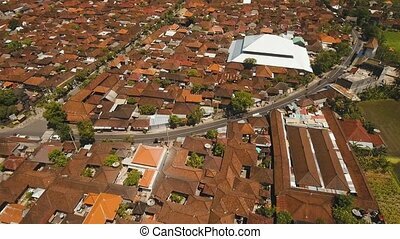 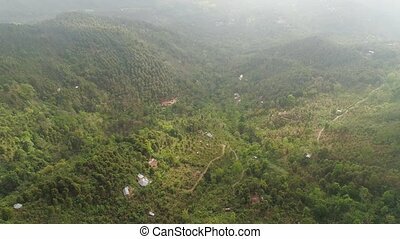 aerial view farmers houses in jungle. 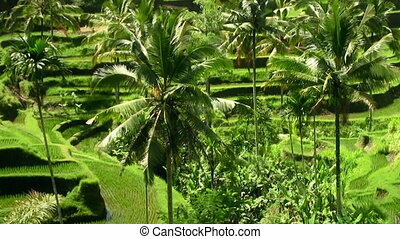 tropical landscape bali, indonesia.